Biotin is a critical part of cell production and growth. It assists with transferring carbon dioxide into the body as well plays a part in the metabolism of fats and amino acids. A mild deficiency in biotin can produce a skin condition called dermatitis, which results in an itchy and scaly skin. Vitamin B7, known as Biotin has become a popular supplement in most hair products and vitamins. Biotin helps hair growth by being a critical catalysis in reacting with enzymes that help produce amino acids. These amino acids are building blocks of protein, which our hair is made up mostly protein aka keratin. This process is essential in the growth hair healthy hair from the inside out. While biotin is a great option, it also comes with some risk as many people have a reaction to it. Biotin is a water-soluble nutrient, which means for it to be absorbed properly, a person must have proper water intake. You don’t need a supplement to consume biotin. 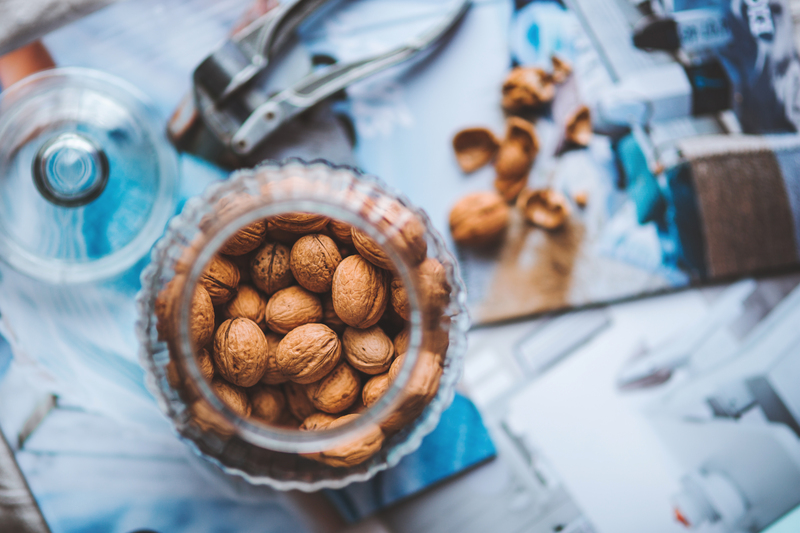 Here are five foods rich in biotin. Walnuts contain folate, vitamin E, biotin, antioxidants and healthy omega-3 fats. Not only are these nutrients, vitamins, and minerals healthy for hair but also brain health. Brown rice contains a high concentration of fiber, calcium, and iron within one scoop. With its additional concentration of biotin, brown rice is a concentrated source of vital nutrients for healthy hair. Swiss chard is overlooked within the green family by its popular spinach and kale. Substitute a few cups of chard for spinach in your green smoothie for not only a smoother beverage but one that contains a good source of antioxidants, minerals, and b-vitamins. Soybeans are often overlooked and get a bad rap. It is one of the few natural non-animal complete proteins, which contain essential amino acids in one serving. Soybeans are rich in copper and iron, which are important and aid in red blood cell production. Soybeans are affordable and can be found in the bulk section. A great alternative is edamame, which is harvested when the soybeans are soft and young. Make sure to only have organic, non-GMO soybeans when consuming if possible. Click For This Free E-Guide For More….